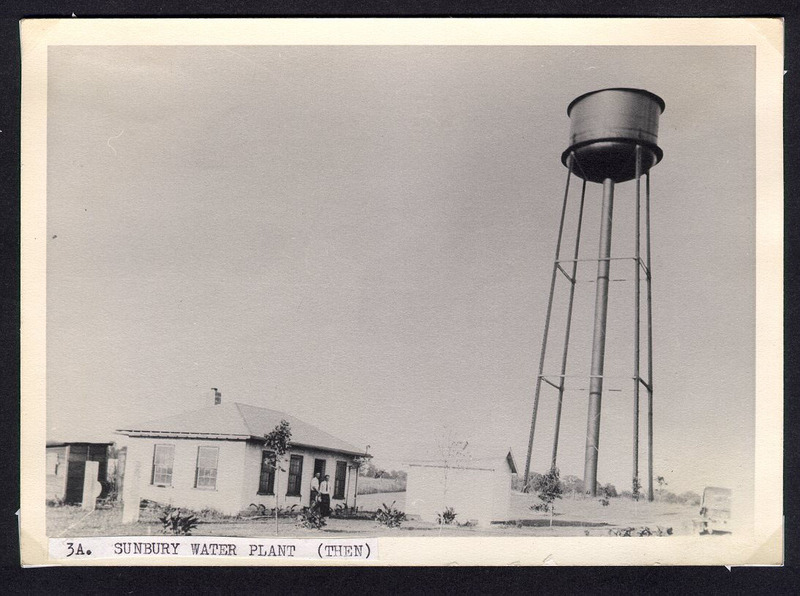 Around 1898, a group of local businessmen formed the Sunbury Waterworks to provide water for the residents of Sunbury. Charles Wheaton, Dr. J. H. Gerhardt, Nel Ramsey, Otis Kimball, Al Williams, Lace Gill and John Longwell were the owners. Behind Charlie Wheaton's buildings were springs which provided the water for the endeavor. The springs fed into a well. A pump was installed in the well and the water was piped to the water tower, at 99 East Cherry Street behind the Baptist Church parsonage - a site undoubtedly chosen for its elevation as well as close proximity to all the owners. Each property owner was responsible for the pipes across the front of his property. Some elected to have metal pipes and some used wood. You could not hook up until your neighbors did. When the pipes were new everything ran smoothly. Eventually the connections of metal and wood loosened and leaked and the business became more bother than it was worth. In the early 1920s the Burrer Brothers, Karl, Parker, Gordon, and Rudy, bought it for $1 hoping to improve the water lines and make a profitable business. The boys had worked for their father, Jakie, when he began furnishing electricity to the community. While their intentions were good, the interests of the boys were diversifying and they did not put the effort into the company which it needed. One Sunday the aging water tower sprang a leak and came crashing down during a church service. Members of the congregation knew instantly what had happened. That ended the water company. At the primary election in April 1924, a Water Works Bond Issue for $22,000 passed by 14 votes to provide water for Sunbury. In July a 66 feet deep well was sunk in the northern part of Blakely Heights. Eighty-five gallons (capacity of pump) of water were pumped per minute. L Garrett Construction Company reported 50% of the pipe lines were installed by January 22, 1925. The tank men erected the 100,000 gallon storage tank with an elevation of 125 feet. Burnie Day (1899-1945) was selected as superintendent of water works and held the position for 21 years. 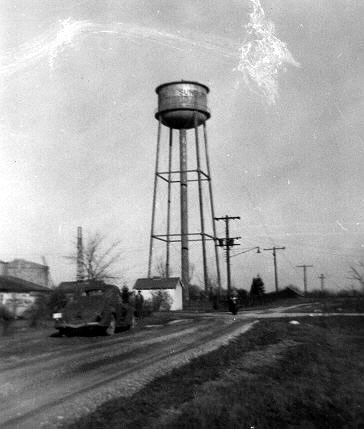 By May of 1925, the residents had city water. Fire in the community was a big worry because the water plant was not automatic. at the sound of the fire siren, Day hurried to the plant to man the pumps so the firemen had the needed water. In 1937, under the supervision of Paul L. Runkle of Grandview and project foreman Albert Hines of Columbus, a $34,000 dam was built across the Big Walnut Creek forming Sunbury Lake. The 295 feet concrete dam stood 10 feet above creek bottom, required 980 barrels of cement, 300 pounds of dynamite, 600 tons of sand, 600 tons of stone, two railroad cars of lumber, 20,000 pounds of reinforcing steel, 2500 feet of 6-inch pipe and a thousand gallons of gasoline to operate the pumps. 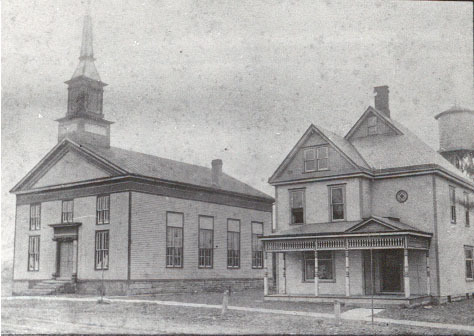 Upon its completion, Mayor Van Divort, G. C. Strong president and O.W. Whitney, clerk of the board of public affairs gave a dinner (served by Sunbury Grill) to honor council, the water board, the supervisor and the job foreman in the community hall. This new water supply saved the village $35 per month on softener chemicals and Burnie Day expected a saving in the power bill to get the water to the tower. A warning notice appeared in the paper, "BOYS! STAY OFF THE DAM." Boys were walking across the dam even after water began to flow. My family owned land near the dam and we frequently went there to wade in the water below the dam. My father, Bill Whitney, target practiced with his pistol on snakes above the dam. During a drought around 1940, the dam dried up. 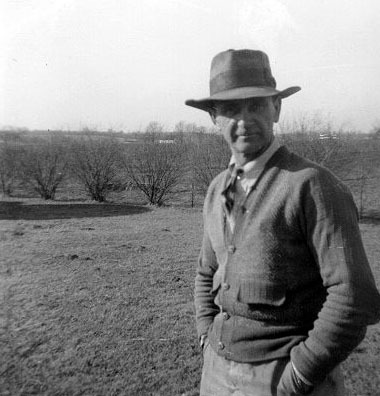 Ed Teut, manager of the Nestles, brought his men to dig a trench up the creek bed to a spring fed hole. They furnished tank trucks to haul water from Little Walnut Creek until it rained and the dam held water again. Nestles, a big consumer of water, gave $86,000 and later $106,000 to help improve the village water system. They built their own water tower but continued to help the village. Nestles gave $500,000 to Sunbury for water system upgrades shortly before word came the plant closed in 1994. 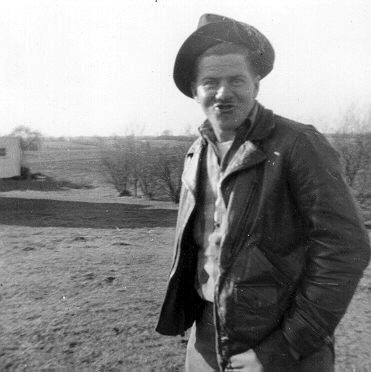 Some of the many men who worked with Burnie Day were Charles Johnson, Charles Speer, Carl Robinson, Kenneth Feasel, Wayne Crawford, Harry Snow, and Dode Watts. His son, Edsel Day, assumed the head of the waterworks after his father. 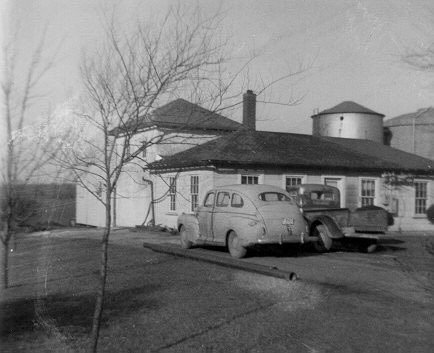 Around 1964, the Hi Morris farm west of town was annexed into Sunbury. Sewer were run to the Industrial Park but water lines only ran to the west side of the adjoining Russell Miller farm at a cost of $50,000. In 1967 Bry-Air and Inland Finishing were asking the village for 8" water mains to replace their 2" lines. Local dentist, Paul Milem, began urging the village council to take steps to fluoridate the city water to make bones harder for adults and help prevent cavities in children. Even though some thought this would change the taste of the water, the ordinance passed in November 1967. In June 1969, rural residents began signing up for $10 membership in the recently formed non-profit Del-Co Water Co., Inc. By November 1500 people had signed up for water. 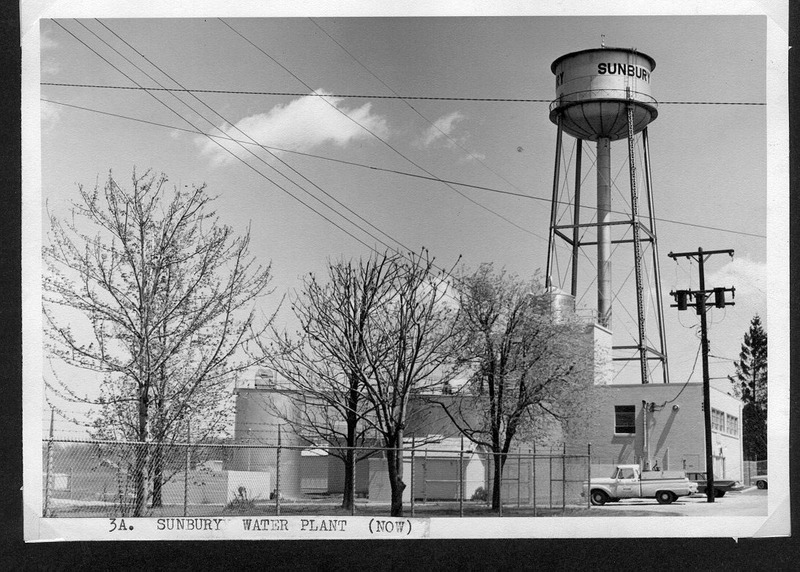 In 1970 they approached council to buy water from the village of Sunbury and this would help finance the Sunbury plant. Thanks to Flashback by Dorothy Burrer, Memories of Early Sunbury by Lousie Sedgwick and the article by Hallie and Edsel Day in Chapters in Community History. All are available in Community Library.